The season 7 finale contained revelations that audiences were (probably) not expecting. So begins what is perhaps the longest wait for television fans across the globe. 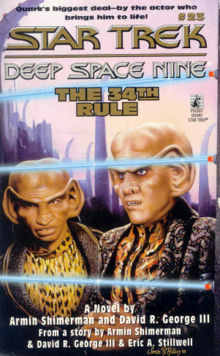 Forget Locutus of Borg’s cliffhanger, that was so twenty years ago (twenty-three to be exact, scary how long ago The Next Generation was, but hey, it’s held up remarkably well). But let’s take a step back for a minute, and first take a look back at how we got to this point. Series 7 started back last autumn, with the final five outings for the Amy and Rory. With casting often hard to keep secret in this day and age, there was no surprise that they would be leaving, and the announcement that Jenna-Louise Coleman would be replacing them was made before episode one was broadcast. Episode one, better known as Asylum of the Daleks to you and me, didn’t disappoint, as it featured Daleks new and old aplenty (even the special weapons Dalek if you squinted hard enough), a nice reference to the shows history where Daleks who had survived his defeats were kept in intensive care, and Jenna-Louise Coleman popped up as well. Clara boards the TARDIS earlier than expected?, they’ve kept that hidden from us, well done BBC. Nope, wait. She’s a Dalek. And now she’s dead. Touche Steven Moffat, touche! This rather unexpected turn of events was kept on the back burner while we enjoyed Amy and Rory’s three penultimate outings before their eventual leaving the TARDIS in The Angels Take Manhattan. A teary affair for many in which, for her final act of onscreen heroism, Amy finally redeems herself by choosing Rory over the Doctor, no going backsies. Well, narratively anyway, considering whatever was stopping the Doctor from returning was localised only to New York, and both Ponds got rather experienced at travelling across the States in Day of the Moon, but as fun as they were, I can’t argue with the fact their particular stories had been told. Next came the mid-season Christmas special, and another appearance from Jenna-Lousie Coleman. With the Ponds well and truly departed, it seemed we weren’t going to get any classic series style juxtaposition of companions from different parts of time and space (well, 21st century Britain at least). But we did get Clara back, at least for a while, before she too left us with the mystery of what exactly is going on here? It has to be said however, Clara’s second death left us with a better beginning for the part two opener The Bells of Saint John. As much as I would have loved a companion that wasn’t from the 21st century (even if she was still from London), the (re)introduction of modern Clara added more mystery to the character that would keep us guessing through the rest of the series, than continuing from where The Snowmen would have left off, would have done. 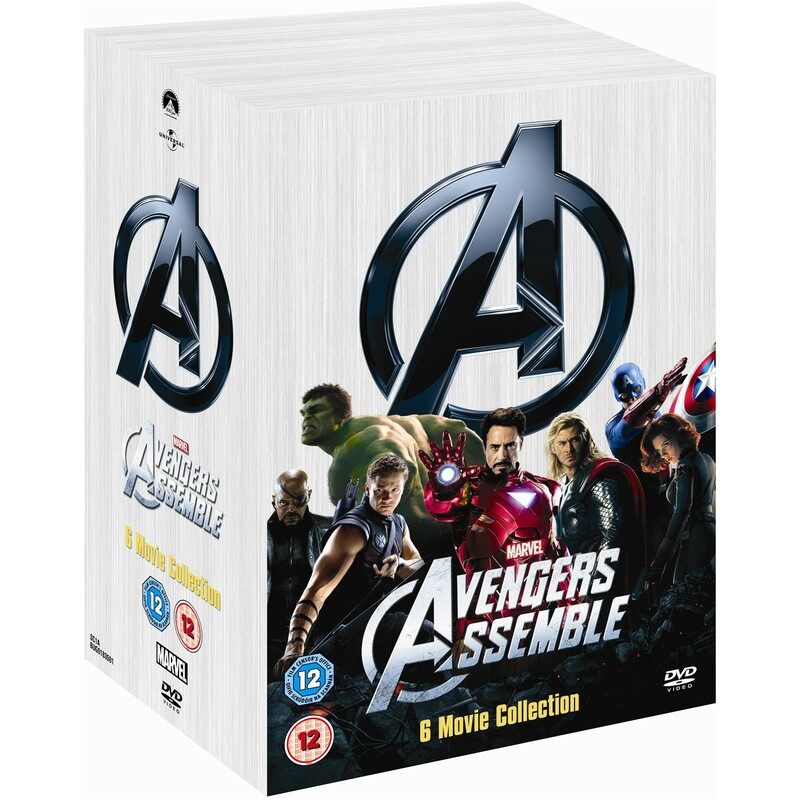 And whilst I enjoyed the rest of the series, I have to say not as much as I was expecting. Considering it has been eighteen months since the end of season six, you’d think there would have been more time to polish it up a bit. Yes I know they’ve been busy planning for the show 50th in November, but surely the extra effort could have been spread throughout the whole year of the anniversary, not just the day itself. What with writing the BBC’s celebratory drama An Adventure in Space and Time, you’d think that Gatiss could have settled for just the one Doctor Who episode, but instead wrote both Cold War, and The Crimson Horror. Likewise new to Who writer Neil Cross who penned both The Rings of Akhaten and Hide. Protests as to the lack of female writers aside, it has to be said that one benefit the 13 episode seasons have over twentysomething American shows is the extra time they have to get the details right, something negated by having twice as many scripts to complete. The big let downs that got to us though, were the fact that the episodes were given a sense of epic proportions that they just didn’t have. With such a great title, Journey to the Centre of the TARDIS seemed like it could have been so much more than just running through lots of corridors, and for a Neil Gaiman episode, Nightmare in Silver didn’t seem that nightmarish, but was perhaps aimed more at children scared of being abducted by newer and sleeker cybermen in the middle of the night. Not that the second half was all bad, there were some interesting stories and great actors, not least in the aformentioned Hide. A genre twisting ghost story which, in true Doctor Who colours, was actually about something else all along, and featured a remarkable performance from Dougray Scott as a charming yet shy ghost hunter. Richard E. Grant, as always, is another great addition to the cast. 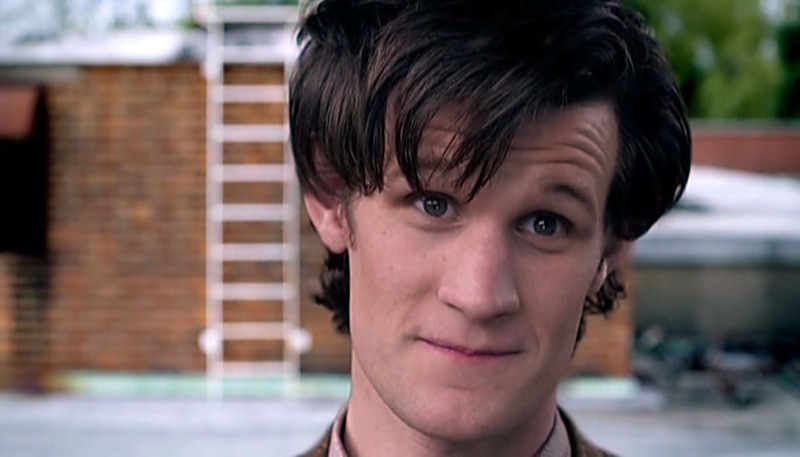 Where the series shined though, was in Saturday’s final episode, The Name of the Doctor. With a titillating title that had fans everywhere speculating, it was one that didn’t let down on the hype, and was the best Moffat season finale since he took responsibility for them (perhaps in part due to the fact that it hasn’t been an alternate timeline that gets wiped afterwards anyway). Minor quibbles would be left aside (we haven’t quite known Clara long enough for what seems like such a major part throughout the Doctor’s history) right from the beginning of the episode, and indeed the series, starting as we did on “Gallifrey a very long time ago”. Clara telling William Hartnell himself that he’s making a mistake by stealing the TARDIS was one of the two boldest moves made by the show since it’s return, the second coming right at the end with that introduction. Perhaps the biggest troll to fans everywhere, but also the biggest relief for many who were dreading the loss of mystery, the Doctor told both Clara and the audience at home that “my name, my real name, that is not the point”. More than just the revelation however, there were also some nice little details, what could have easily been reminiscent of Malkovich Malkovich, the Doctor being inside his own timestream which contained shadowy graves in the background was a nice touch. Introducing the omninous figure who apparently both is, and isn’t quite the Doctor, show runner Steven Moffat has here made a brave move that unlike his previous “alliance” storyline of every alien race ever joining forces, has to evoke the same sense of awe and anticipation from Doctor Who fans of all ages, new and old fans alike. Even if you didn’t recognise that deep rich voice declaring that “what I did, I did without choice”, let alone know of his upcoming appearance in the 50th anniversary special, whether your jaw dropped due to the arrival of John Hurt as either actor or character (or both), it was nothing less than spectacular, and will ensure that the internet chat rooms and forums will be bursting with theories and ideas for the next six months. And so we await the 50th anniversary with perhaps more questions than answers. Although we discovered the answer to Clara’s being impossible, her story can be far from over (I’m still waiting to find out who the woman in the shop was). 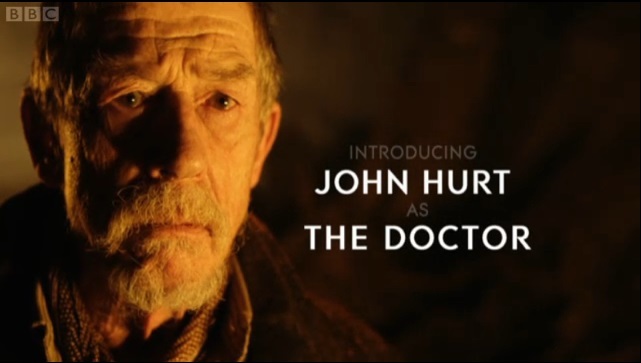 More than this however, just who is John Hurt?? Adding to his list of iconic science fiction moments that go do in history, he is credited by the BBC as playing the Doctor, despite Matt Smiths insistence that he is isn’t, even though they are both in a place where “there’s only me here, that’s the point”. Only the Doctor, “the one who broke the promise”, and Clara as well actually, but that could be looking too much into it. So who exactly is he? Fans have already been keen to point several things seen (or not) throughout the episode that may or may not be important. Firsty, despite being referenced previously in the series, Paul McGann’s eighth Doctor was missing from the clips of his past incarnations, although his only on-screen appearance is still stuck in a sticky web of joint ownership with FOX. The fact that Hurt’s costume bears a resemblance to McGann’s newer image for his latest audio releases has also been mentioned. Was the naming of the Valeyard just something to put an extra smile on the face of classic fans, or was it introducing an older concept that newer fans will need to be aware of in the future? Or is he something new altogether, a missing incarnation made possible by the fact we’ve never actually seen a McGann/Eccleston regeneration?? Doctor Who’s 50th is severed of Nine. 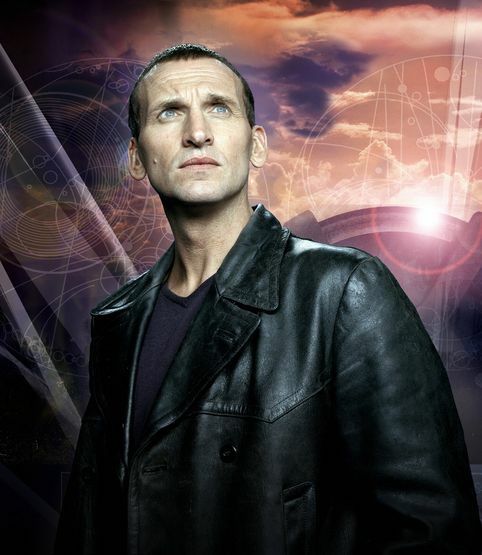 Christopher Eccleston won’t be returning to portray the Ninth Doctor again. The main reason this isn’t a big deal, it has to be said, is that it’s hardly surprising. Since his departure Christopher Eccleston hasn’t always had the best of things to say about those he worked with (even though most have now also moved on), and like any actor taking any role, to him Doctor Who was just a job. The most high profile and prolific perhaps, but even enthusiastic fandom can’t compete with his statement that “it’s more important to be your own man than be successful”. More than this however, Eccleston didn’t quite achieve the popularity of his immediate successor David Tennant, who will be returning, therefore placating the majority who provide the over-enthusiasm in the first place. Without knowing the story of the forthcoming anniversary, it has to be said that despite Tom Baker’s decision to not take part in the 20th anniversary special, “The Five Doctors” suffered mainly from the producers’ use of old unbroadcast footage. Explained elsewhere as being caught in the Time Vortex, the lack of the Doctor and Romana appearing throughout the main narrative actually helped the four remaining Doctors and their companions to get a more even share of the congested screentime. Unlike Tom Baker however, Eccleston’s relationship with Doctor Who is somewhat unique. Whilst I’m young enough to have to rely on the judgement of history to assess all the previous Doctors’ careers, it would seem as though many have since been typecast, their names synonymous with the Doctor. While David Tennant and Matt Smith haven’t had enough time to carve out careers of their own, Worzel Gummidge and All Creatures Great and Small may still be recognisable names to a certain degree, but even without the revival would hardly be fighting for the spotlight. I’m also sure that many of the younger generation who saw Sylvester McCoy’s appearance in The Hobbit films will now be wanting to see his portrayal of the Doctor (and this is nothing but a good thing). At least to those of us who didn’t grow up with Doctor Who the first time round, Eccleston, and to a certain degree Eighth Doctor Paul McGann, has a somewhat unique relationship to Doctor Who, in that typecasting doesn’t necessarily apply, and not just because of limited screen time. Eccleston has appeared in a variety of films, and has gone from being directed by the likes of David Cronenberg in eXistenZ, and Danny Boyle in 28 Days Later, to starring in Gone in 60 Seconds alongside Nicolas Cage, and even this summer’s Marvel offering of Thor: The Dark World. 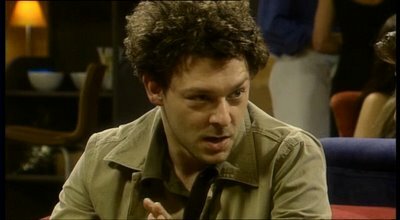 And this is not to mention his TV work, from the regional Our Friends in the North to the international Heroes, with even an episode of The League of Gentlemen somewhere in between. Although perhaps not as recognisable abroad (not even as the Doctor) McGann has supplemented his roles in films like Withnail and I and Alien3 by consistently making guest appearances in TV shows such as Hornblower, Jonathan Creek, and more recently, Ripper Street. Although it’s fair to say that Eccleston’s single series as the Doctor also played a part in his not being typecast, it’s more to do with its content, rather than short length. Despite achieving the great leap forward of bringing Doctor Who back to our screens, it also took a few steps back in terms of creativity. Pilot episode ‘Rose’ made the right choice of not confusing an uninitiated audience with concepts such as regeneration, which was one mistake made by the US co-produced one-off special starring McGann, but season 1 as a whole began its new slate by simultaneously changing, ignoring, and following on from what made Classic-Who a classic. Although it did tread new ground with the development of Rose and the Doctor/Companion relationship, this was still just extending the footprints already started by the Doctor and Ace back in the 80’s. Like Ace, Rose was a London teenager with little direction in life, but with the courage to stand by and protect those she cared about (apart from her boyfriend Mickey at least, but TV’s view of miscegenation is best saved for another post). Also unlike other companions who left their previous lives to have countless adventures, the Doctor formed a closer bond with both Ace and Rose, and often took them to times and places which left little separation between their former, and current adventurous lives. Just as Rose kept flitting between some of time and space, and contemporary Britain, Ace held her baby mother in her arms, and was taken to a stately home back in the days before she had burned it down. This is not to say the concept of a new Doctor having just committed genocide in order to end the last great time war wasn’t new, but again carried on from McCoy’s darker portrayal of the Doctor. Indeed, it fit so well, that many seemed to believe the BBC had selectively forgotten about McGann’s incarnation, and that it could just as easily have been McCoy’s seventh Doctor who had (supposedly) destroyed both the Time Lords and the Daleks, considering he showed no hesitation in destroying the Dalek home planet of Skaro in ‘Remembrance of the Daleks’. Perhaps the biggest change brought about however, was its structure. At least partly to appeal more to international markets (by following US conventions), Doctor Who left the four 25 minute episode serials behind, and adopted the series structure of thirteen 45 minute episodes. 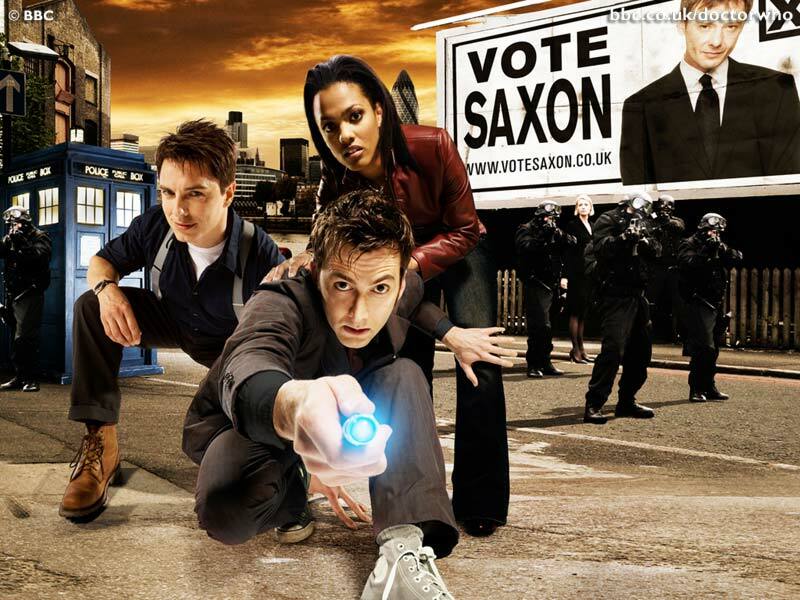 Despite a greater number of individual stories, Bad Wolf and the “Adherents of the Repeated meme” notwithstanding, Eccleston’s season 1 offered surprisingly little variety. 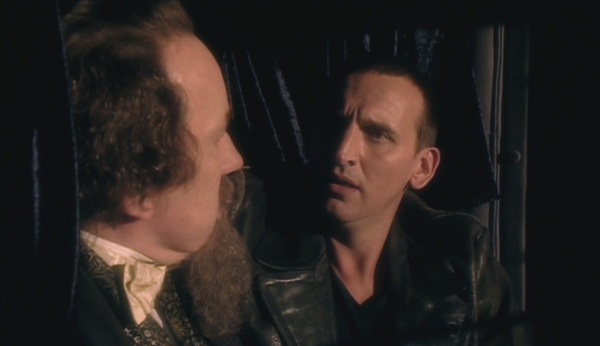 Meeting Charles Dickens was the furthest we saw the Ninth doctor go back in time. All of the 13 episodes took place either on or in orbit of the Earth, and all but one of those set in the past or present took place in British Capitals. 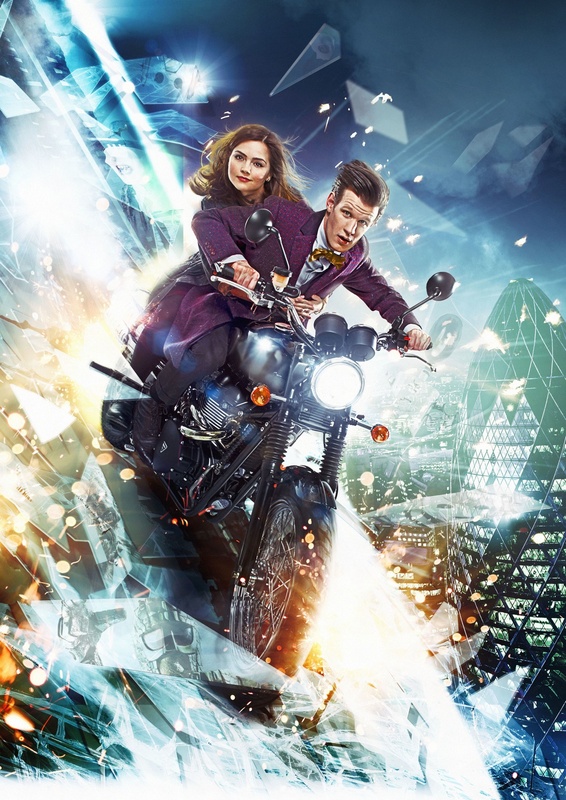 Episodes such as ‘Dalek’ and ‘Father’s Day’ proved that the show still had what it takes to be top quality drama, but the series overall suffered for being too cautious with what makes Doctor Who, Doctor Who: “adventures in time and space”. Had Ecclestone given Doctor Who more continuity by not departing at the end of season 1, surely it would be remembered as less of an individual step of the show’s constant evolution. Although every new show has to find it’s place, you only have to compare most pilots with the rest of their series to figure this one out, it seems a shame that New-Who did so with more of a safe crawl, leaving it to season 2 to properly find it’s rightful footsteps amongst the universe. As exciting as it would have been to see the Ninth Doctor gracing Television screens again, it seems that with a level head Eccleston has chosen to leave his individual chapter of Doctor Who‘s 50 year history as it is, and at least won’t be returning just for the sake of it. Steven Moffat has already stated that the anniversary “has got some serious fanboy-pleasing going on in it“, which to my mind sounds reminiscent of the ‘so too good to be true I’m afraid it’s actually ridiculous’ alliance of “The Pandorica Opens”, which was one of those ideas that sounds great on paper, but doesn’t necessarily work on screen. All in all, season 1 of New-Who, the only time Eccleston is seen on-screen as the ninth Doctor, is something of an anomaly; hardly something to be embarrassed about, but at the same time something that is perhaps not indispensable either, and I doubt the 50th anniversary will suffer too much from Eccleston’s absence. As much as I’ve been busy over the bank holiday weekend, my diary seems nothing compared to that of the Doctor’s. Not content with spreading his schedule throughout time and space, this weekend just gone has been something of a bumper celebration for Doctor Who, past, present and future. Let’s go through this in a wibbly wobbly timey wimey fashion, and start with what fans had been waiting for; the long awaited beginning/continuation of the new season, and the (re)introduction of Clara/Oswin/Oswald, in an episode that did not disappoint. ‘The Bells of Saint John’ properly introduced Jenna-Louise Coleman’s third (?) character. Although perhaps a bit too similar to season 4’s opener Partners In Crime (evil business woman leads evil corporation as a front to alien manipulation of contemporary London), The Bells of Saint John was all that you could want in a contemporary-set Who episode; an exciting episode full of danger, one liners, surprise twists, and gave fans more questions than answers (does the Doctor himself not wonder who the “woman in the shop” is?). the end result was only the start of what promises to be a great rest of the season. Rather than simply review the episode however, (I’d only be quoting the best bits and spoil it for you, so I’ll just say head over to iplayer and watch it here), I’m instead going to talk about how I watched it. For the first time in too long, I watched this particular episode of Doctor Who amongst a group of friends, all of whom were as equally as I was. This hasn’t happened since my first stint at uni, and even then possibly not in as big a group as this. Not only do you get to share in the suspense and the laughter with others, but Moffat seems to write new-Who in a way that just can’t be watched on its own. Each of us picked up on a variety of the myriad of details, and were desperate to share our thoughts, theories and questions once it had finished. This is how I now want to watch all of Doctor Who. Going back earlier that day however, before people arrived and I had only the internet to share my thoughts with, there was a cast announcement for November’s forthcoming 50th anniversary special. David Tennant fans everywhere delighted at the news he would be back, but speculated as to who he would be playing; regular, or meta Doctor. Billie Piper fans were also delighted at her return, although it’s fair to say a number of Who fans in general weren’t. A group in which I have to say that I am included. Don’t get me wrong, I thought Piper was fine in her portrayal of Rose, who was also a fantastic character. Admittedly I still haven’t decided whether her stringing Mickey along was worse than Amy’s trying to sleep with the Doctor the night before her wedding (actually, Amy’s decision was worse, Rose was just naive), but my problem is with her return, not Piper or Rose. Doomsday, the finale of season 2 was a landmark episode. Catherine Tate aside, it not only introduced modern Torchwood, but featured the Daleks and Cybermen in a Monster vs Monster battle that Aliens and Predators could only dream of, and also a companion’s leaving that beats all others hands down in terms of emotional farewells. Modern companions often have more in common with Ace than is generally realised. 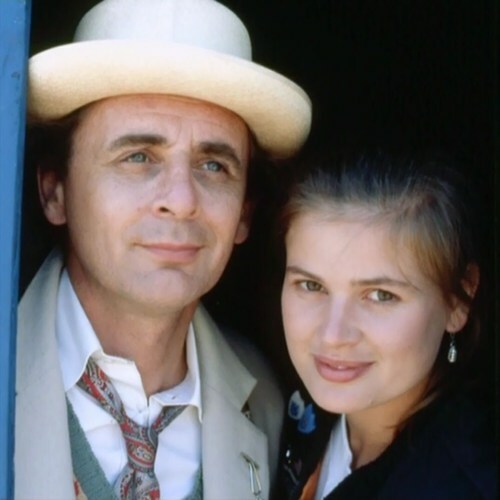 Following on from Sylvester McCoy and Sophie Aldred’s Ace, those who travel with the Doctor in New-Who have generally been more than just companions, each having a specific relationship with the Doctor, and experiencing a personal journey as much as an intergalactic one. It is because of this relationship that, worse than Adric dying without ever knowing if he was right, Rose was abandoned, forced to live without the Doctor, and knowing how he felt about her. He was never even able to finish his sentence. As I said, an emotional farewell. A farewell that was ruined two years later in season 4, by the only possible thing that could ruin the emotional moment of knowing they’ll never see each other again: them seeing each other again. Needless to say, I’m hoping Billie Piper’s 50th return is more The End Of Time than Journey’s End. One piece of casting that cheered me up immensely after this news however, was that the 50th anniversary would also star British acting legend himself, John Hurt. Like Derek Jacobi, Ian McKellen, and David Warner who will appear later on in this current season, Hurt is the latest in a line of veteran (no, I don’t just mean old) actors to grace the show with not just their presence and reputation, but also immense talent. 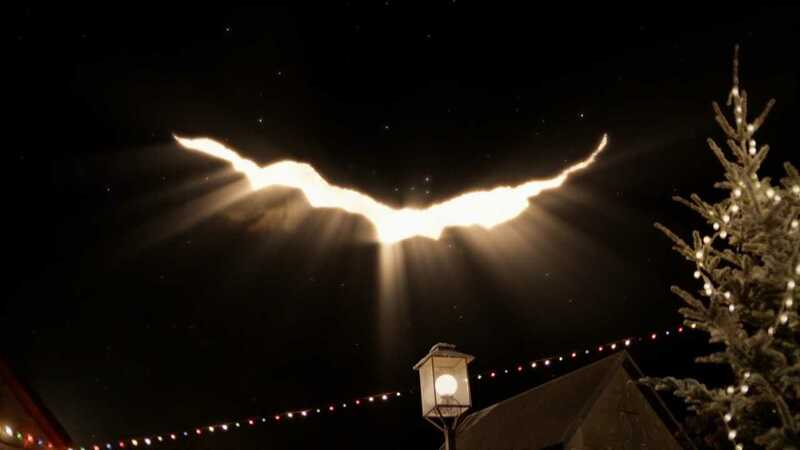 No stranger to sci-fi, having previously appeared in the scene in Alien, V for Vendetta, and everything in between, the association of Hurt’s name with Doctor Who is even more exciting than that of Peter Jackson’s, and most fans seem to be in agreement that no one more fitting could have been cast in the shows 50th anniversary. Cut again to some time later, and the internet was ablast with snippets of a photographic nature. First came two pics of Tennant and Matt Smith (and the tip of a Dalek Gunstick?) together at the scripts read through, and once those had gone viral, the BBC also tweeted an image of a 21st century Zygon, complete with #DoctoWho50th hashtag. But while fans are eagerly awaiting for November’s celebrations to grace their screens, showrunner Steven Moffat is no doubt waiting for September, and the announcement of who has won the prestigious Hugo Awards. Celebrating the best in last years sci-fi & fantasy, and with a shortlist of just five TV episodes in the running for Best Dramatic Presentation, Short Form category, three of last years episodes, Asylum of the Daleks, The Angels take Manhattan, and The Snowmen, have been nominated. Yes, not only is he celebrating as Doctor Who showrunner, but those three episodes were written by Steven ‘Juggernaut’ Moffat himself as a writer. The writer who ten years ago was entertaining TV viewers with Jeffrey Murdock and the Visual Access Angle, is this year celebrating the fact that his stories alone have earned a total of eleven nominations in only eight years, and is no doubt hoping for his fifth win. 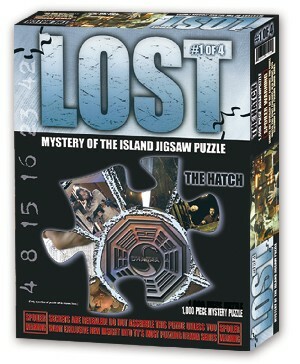 Between writing and helming the 50th anniversary episode, working with John Hurt, and adding “buy bigger display cabinet?” to his to-do list, it would seem that 2013 is already a fantastic year for Doctor Who, and Moffat truly has the key to the gates of paradise, regardless of having too many legs. WARNING, MAY CONTAIN SPOILERS . . . Yesterday I watched the final episode of season 3 (29 if you’re being picky, 34 if you’re really picky) of Doctor Who. Yesterday was also the first time I have been really disappointed by the series. When the season first started, I have to admit I didn’t think it was as good as what had come before it. ‘The Shakespeare Code’ seemed more like it was trying to jump on the Harry Potter bandwagon than celebrate a famous historical figure, and having the shows most loved enemy in an average story in ‘Daleks In Manhattan’/’Evolution Of The Daleks’ did seem a tad wasteful. Minor quibbles aside, it was still essential Saturday night viewing. And then came the second half of the season, which was fantastic. ‘Human Nature’/’The Family of Blood’ gave us a real insight into the Doctors character, as well as showing off David Tennant’s talent. ‘Blink’ was everything Doctor Who should be, funny, dramatic, and taking full advantage of the “big ball of wibbly wobbly timey wimey stuff”. 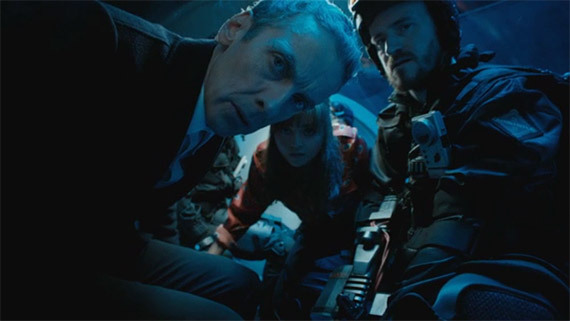 ‘Utopia’ was a great introduction for the season finale, and although the Master’s appearance didn’t come as the biggest surprise to me (it happens if you discuss rumours on the internet), I still thought it was well conceived, and a great cliffhanger leading to ‘The Sound Of Drums’, quite possibly one of my favourite episodes of Doctor Who ever. 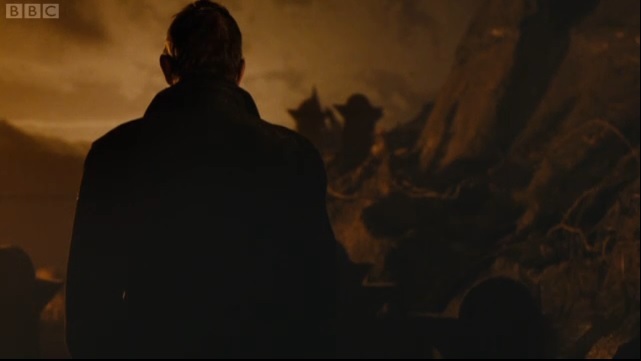 Not only was John Simm perfect as the Master, bringing the right elements of humour to the role without overdoing it and still keeping his aura of absolute evil, but the tension between him and the Doctor was great, as were the glimpses of Gallifrey itself. But ‘The Last Of The Time Lords’ just tended to spoil things for me. Maybe the end of season hype and greatness of ‘The Sound Of Drums’ just gave me unrealistic expectations for the finale, but it was probably more that I, never in five trillion years, would have expected Russel T Davies to turn the Doctor into Dobby, The House Elf!! Bandwagon jumping again, perhaps?? Right from the start we are told that it is now “One year later”, which just gave me the impression I might have been watching Battlestar Gallactica by mistake. Whilst spreading the word of the Doctor was certainly a different way of saving the world, and hailing a big cheer from pacifists everywhere, it still seems like a bit of a cop out and certainly far fetched. Almost as far fetched as the result of everyone in the world chanting his name would magically transform him to exactly how he looked before (including wearing the clothes he had previously grown too small for), and being able to levitate, unaffected by laser fire, whilst at the same time bask in an all glowing aura. Basically, everything up to “I forgive you” could have done with a few rewrites. And then a few more, but luckily things seemed to pick up afterwards. The Doctors crying at the death of his arch-nemesis was a great touch (even though he was probably crying because it meant he was the last of his kind. Again. ), and the funeral pyre was blatantly a Return Of The Jedi rip-off. The picking up of the ring was a nice way to explain how the Master might come back again, rather than going with the traditional magically reappearing with no logical explanation, which normally happens. And Captain Jack Harkness as the Face Of Boe?? Nice idea, but does beg the question of how he goes from bi-pedal human to big head in a jar in a matter of 198,000 years, whilst spending the next 5 billion(ish) years unchanged. And it does make you wonder how far in advance they planned it all. Even if they haven’t answered the dangling cause of his missing memories, but they’re probably just saving that for Torchwood. Which leaves us with the Titanic. Somehow creating an enormous hole in the interior of the TARDIS twice the size of the exterior, unless of course the chameleon circuit just happened to fix itself and disguise the TARDIS as an iceberg. And are the producers planning another multi-Doctor story, or have they forgotten that the Doctor has been there and then before? 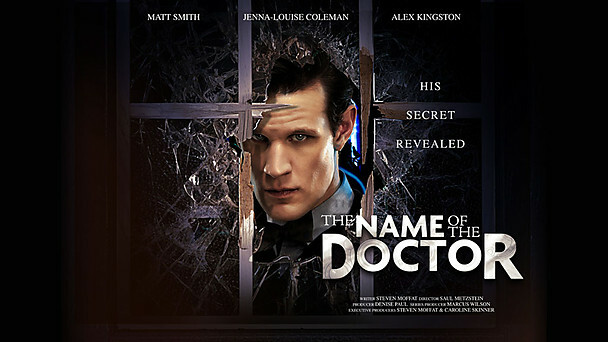 Russel T Davies, please let Steven Moffat write next years finale. PLEASE!!! !